The Book of Mormon is a triumph for many reasons. One is that it is an original musical and, without an out of town try out and without a movie star within its cast, it’s playing Broadway. One-A is that despite its originality and lack of a star, the Eugene O’Neill Theatre appeared sold out…on a Wednesday night…during previews. This doesn’t happen. Two is that audiences are buying into it, even though it is a totally traditional book musical, in terms of its structure and score. 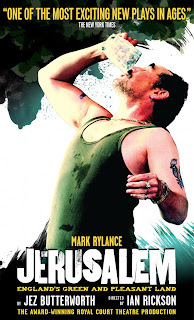 Finally, it is a triumph because it’s good – really good. I think we might have a hit on our hands, dear readers. Throughout the whole show, I kept thinking how wonderful it was that an original book musical was playing to a packed Broadway house. 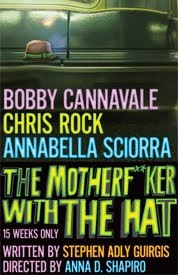 The book is solid. The score is solid. The structure is as old as the form – and there was something sort of comforting about that. You know, dear readers, that I love American Idiot and that that has a rock and roll score and no full book to speak of. But I also really like the fact that, in The Book of Mormon, we can use a standard musical theatre structure, explore classic themes of faith in oneself and whip it up with modern, howl-inducing humor. How cool is that? Brought to you by Trey Parker + Matt Stone (creators of South Park) and Robert Lopez (Avenue Q scribe), The Book of Mormon’s plot centers around two Mormon missionaries who are assigned, for a two year term, to a village in Uganda. Not Orlando as Elder Price has prayed for, but Uganda. (To travel to Uganda, Elder Price and Elder Cunningham fly on Airfrica. Brilliant.) The missionaries’ mission is to baptize the Africans and upon arriving, Elder Price and Elder Cunningham, the former being a good looking paragon of Mormon ideals and the latter being a slovenly looking man-child prone to lying, ingratiate themselves to the tribe and get to work. Kind of. Given South Park’s track record at taking aim at just about every religion, some people were crying foul, saying The Book of Mormon would be just a vehicle for Parker and Stone to hate on Mormons. But it isn’t. Sure, there are jokes about Mormons and, particularly, the preposterousness of the founding of the religion, but Parker, Stone and Lopez’s sardonic harpoons are more so aimed at a certain type of people and much of the humor is situational. (There are plenty of The Lion King, pop culture and inside-Broadway jokes, too!) The people being made fun of are people who have blind faith; people who don’t question dogma or authority; people who are oblivious to anything outside of their bubble. But beneath all the smarm there is a great deal of heart. This show is really about having faith; not necessarily in a religion or a god but rather in yourself and in humanity. Faith and belief that you can do good and you can make it. Fans of Avenue Q will be familiar with the easy flow between snark and sentiment, though, not to worry, nothing ever becomes saccharine. Just when the characters are on the verge of over-sentimentalizing something, there’s some razor sharp zinger to bring everyone back down to earth. And lobbing those zingers is an incredible cast. 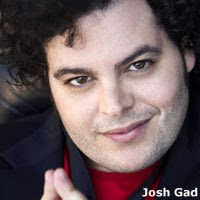 As Elder Price and Elder Cunningham, Andrew Rannells and Josh Gad, respectively, work well off each other. 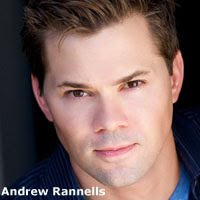 Rannells commits to Elder Price’s commitment and it pays off, making Elder Price human and not a caricature. (He also has a terrific voice.) Gad is good here. In the past, I have found some of this sometimes-The Daily Show-correspondent’s traits to be annoying but he tones down some of those qualities here and only plays them up when Elder Cunningham is supposed to be grating. 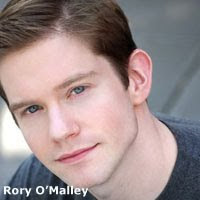 Rory O’Malley, co-founder of Broadway Impact, which advocates for marriage equality by rallying the theatre community, thoroughly impresses in two roles: Moroni, some sort of Mormon angel, and Elder McKinley, the leader among the missionaries already in Uganda who is trying to “turn it off” when it comes to gay thoughts and dreams. O’Malley has a great voice and is a skilled hoofer to boot. I hope his performance is remembered by the Tony nominating committee come May. 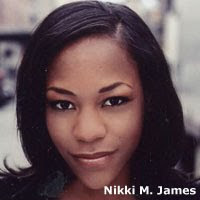 Truly, the entire cast was impressive, including Nikki M. James as Nabalungi, the first villager to give the Mormons a shot, and Hair alumni Michael James Scott and Tommar Wilson. I also want to note the great choreography by Casey Nicholaw (I love seeing great big song and dance numbers!) and the pitch perfect direction by Nicholaw and Parker. The timing is spot on, with the jokes landing exactly where and when they should. The lighting design by Brian MacDevitt; the sound design by (American Idiot’s) Brian Ronan; and the scenic design by (Hair’s) Scott Pask (especially the beautiful, celestial scrim used in place of a curtain) all added to this expertly executed new musical. The Book of Mormon is not the first original musical of the season—remember, in the fall we had Bloody Bloody Andrew Jackson and The Scottsboro Boys. But where those musicals (unfortunately) failed to connect with a wide audience, I think The Book of Mormon will succeed. Yes, there’s some marquee value in Trey Parker and Matt Stone (and maybe even a little value in Robert Lopez’s connection to Avenue Q), but I think the traditional structure of this show and its accessibility, especially in the universal theme of believing in yourself and your friends, will make The Book of Mormon a hit and a mainstay on the main stem. 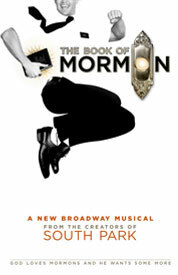 Visit bookofmormonbroadway.com for more information and to purchase tickets. It ended up winning 9 Tony awards. I think that says something. 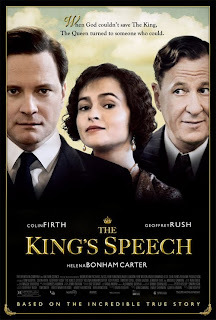 I certainly enjoyed it quite a bit! I was able to get tickets for the Book of Mormon this summer, and it was well worth it. I don't get to New York very often, so I saw some other Broadway Shows while I was there. I really enjoyed Avenue Q. Big surprise there.